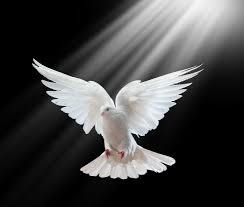 While we commonly acknowledge that Jesus is God, we don’t often think of the Holy Spirit as God. He (not it) is the third person of the Trinity and the bridge between the spiritual world and the physical world. One of the most significant differences between the Old Testament and the New Testament is the functioning of the Holy Spirit. In Old Testament times God’s presence was with men but it was outward. While this has not changed, in the New Testament He is also present in man. We can receive the Lord!